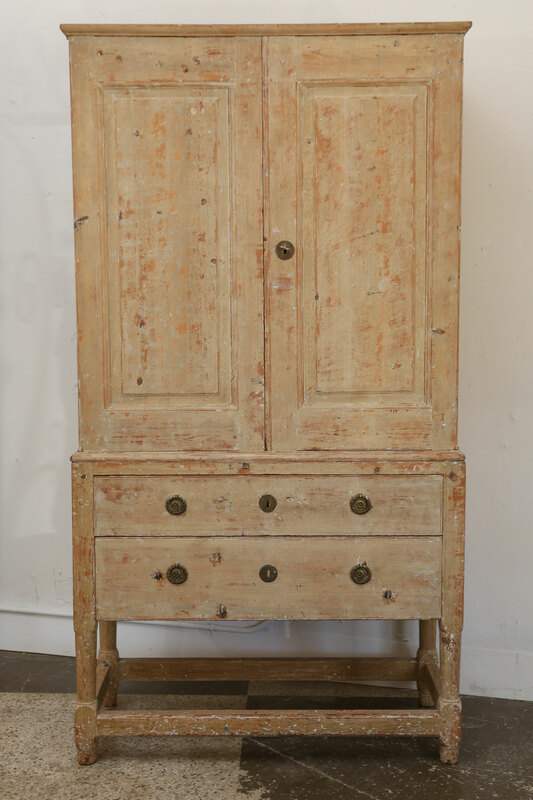 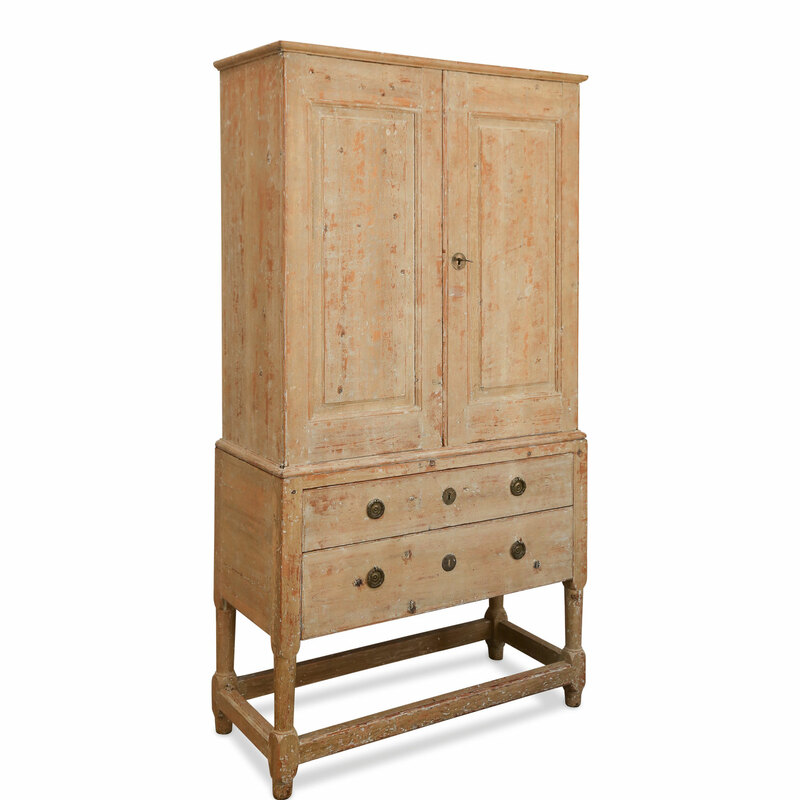 Swedish pine tall cabinet: early 19th century transitional hand-carved cabinet-on-chest raised on turned legs. 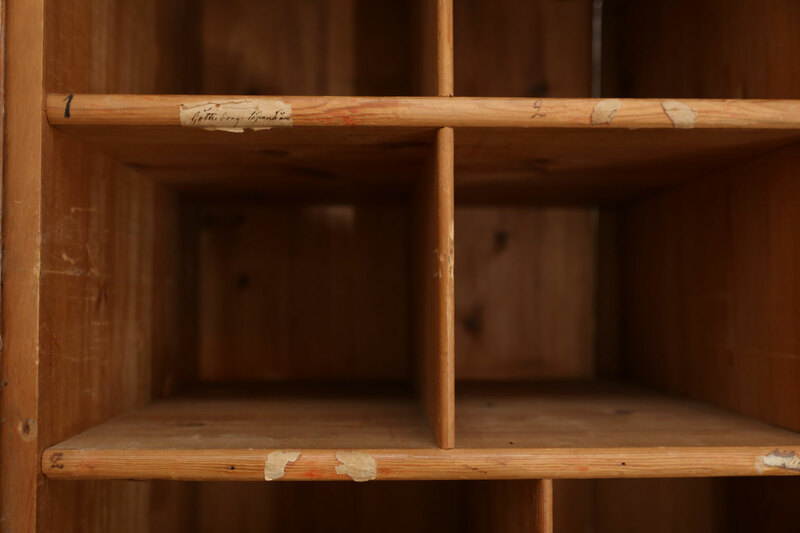 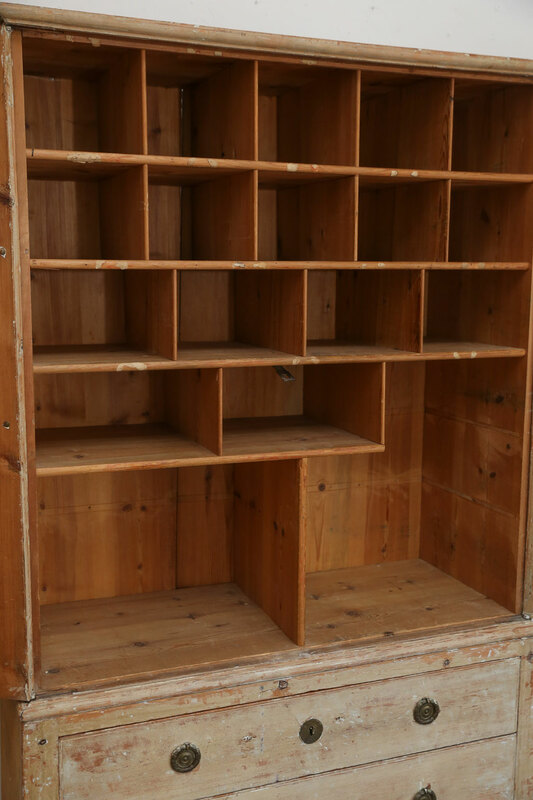 Upper two-door cabinet holds multiple open compartments for storage. 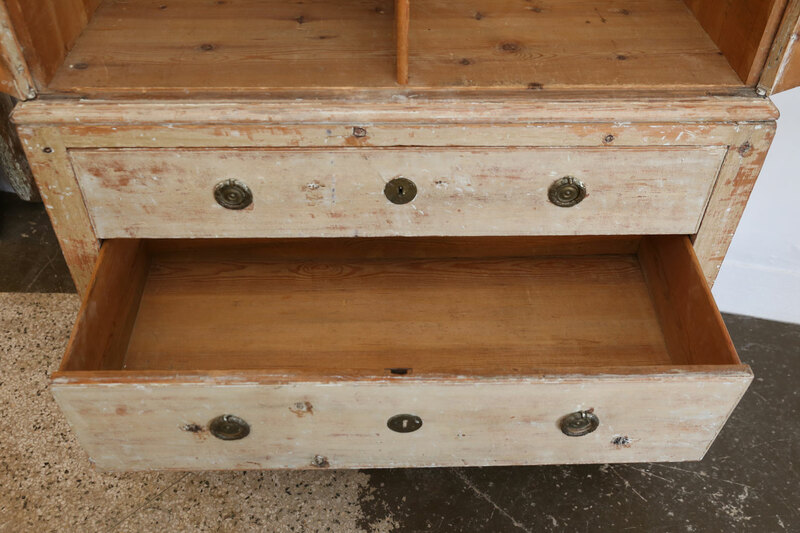 Lower chest contains two full-width drawers. 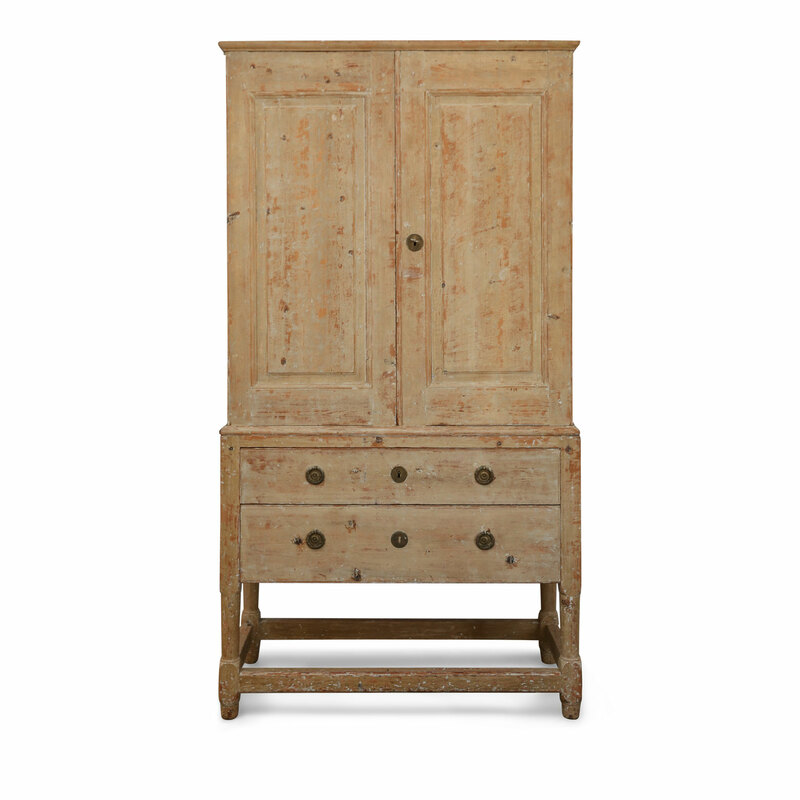 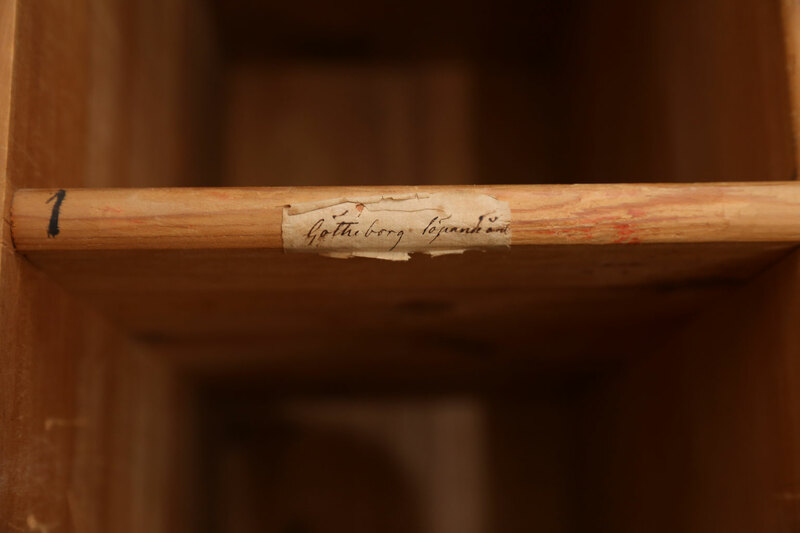 Condition: ExcellentSturdy, solid mortise and tenon joint construction. 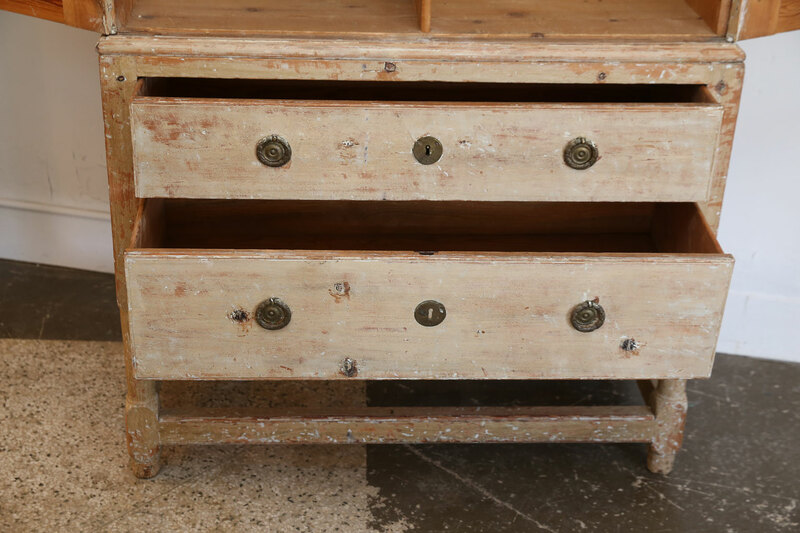 Dovetailed drawers and nice brass pulls. 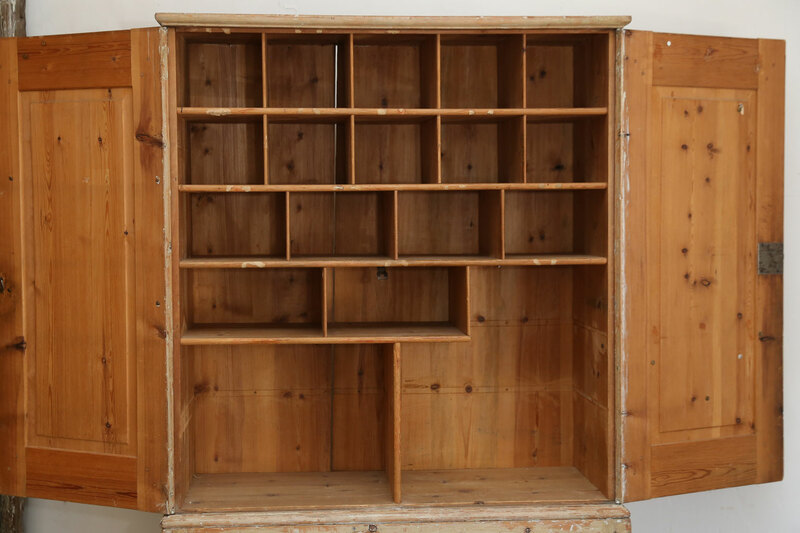 Extremely versatile period piece: can function as storage for clothes, linen or towels or house TV and electronic equipment for entertainment purposes or serve as a dry bar.